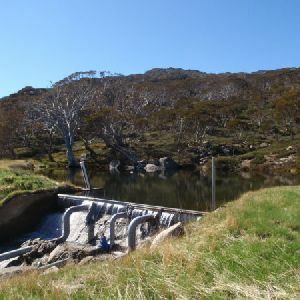 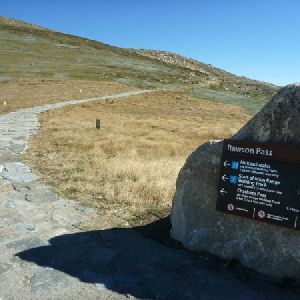 From just uphill of toilet block (at the end of Kosciuszko Rd), this walk follows the wide dirt management trail, initially keeping the toilet block to your right. 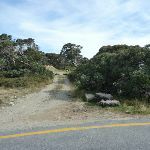 The trail soon leads to a small clearing where the walk turns left following the ‘Mt Stilwell’ sign along the narrower track. 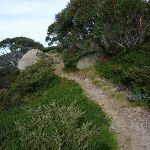 The track soon bends left and follows the side of the hill, heading up the series of stone steps, keeping the valley to your left. 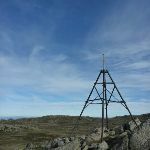 Approximately 130m from the sign, the track comes to an intersection under the cables at the top of the Pulpit Tbar. 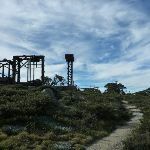 Continue straight: From the top of the Tbar, the walk follows the clear track up the ridge line towards the rusty ruins of an old ski lift. 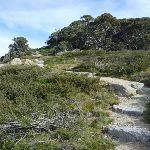 The track soon passes in front of the old lift and then continues to climb up a series of stone steps winding between the granite boulders and snow gums. 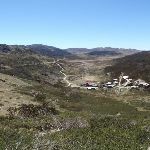 The track enjoys wide views down over Charlotte Pass village to your left. 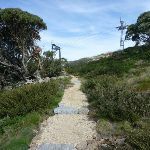 The track continues up to come a metal platform and lookout (on your right) just near the top of the Kangaroo Ridge Chairlift. 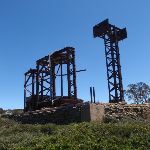 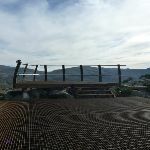 At the top of the Kangaroo Ridge chairlift lies a steel platform. 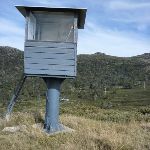 This partially fenced lookout offers broad views to the north-west over the Snowy River valley and across the Main Range. 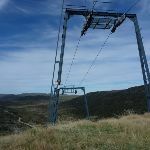 From the chairlift, there are also views down to Charlotte Pass Village. 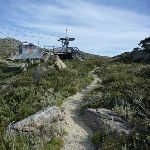 Continue straight: From the Kangaroo Ridge chairlift lookout platform, this walk heads south, behind the chairlift station and along the grassy track, keeping Charlotte Pass village to your left. 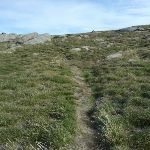 The track leads up between some granite boulders and becomes much clearer again. 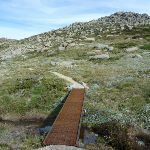 Here the track winds gently uphill and up a series of stone steps before heading down across a valley and over two small metal grate bridges. 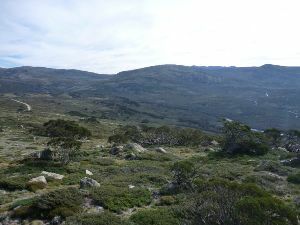 About 100m after the second metal grate the track leads to a rocky and boggy hollow. 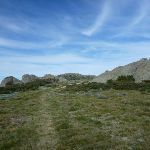 From here the track narrows and starts to round Mt Stilwell (to your right). 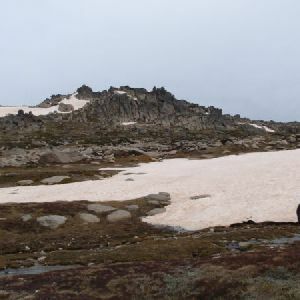 The track continues to bend right to the side of Stilwell saddle (where you can see down to the snow poles on your left). 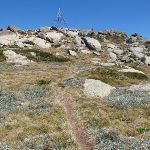 Here the fainter track leads almost straight up the side of Mt Stilwell heading for the rocky summit marked with a metal trig. 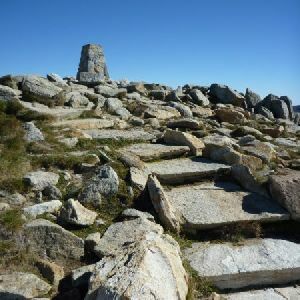 Near the top the walk climbs over the granite boulders to find the summit and the impressive 360 degree view. 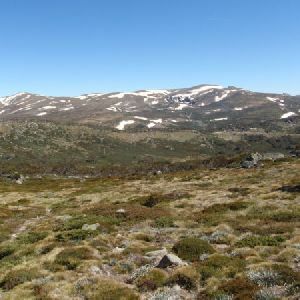 At approximately 2040m above sea level, Mt Stilwell is the highest peak in the ridge line winding around the southern side of Charlotte Pass village. 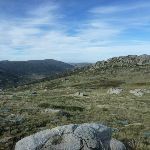 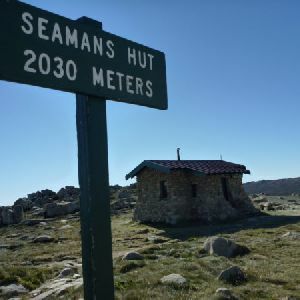 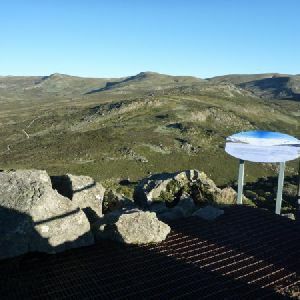 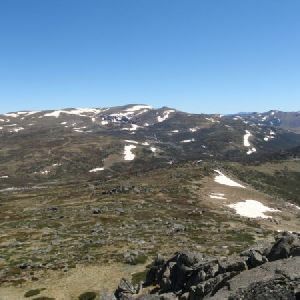 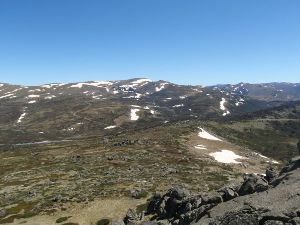 With arguably one of the best views in the Kosciusko National Park, Mt Stilwell’s peak looks down at the village, and out across the main range to Headley Tarn, Blue Lake and Mt Twynam, and the Snowy River. 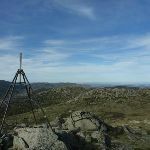 There is also the lower half of an old trig point located at the peak which, when whole, was used for navigation. 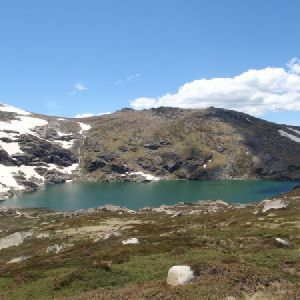 Around 1.2km of this walk has short steep hills, whilst the remaining 650m has gentle hills with occasional steps. 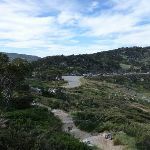 1.1km of this walk follows a rough track, where fallen trees and other obstacles are likely and another 650m follows a clear and well formed track or trail. 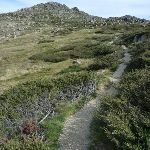 The remaining (180m) follows a formed track, with some branches and other obstacles. 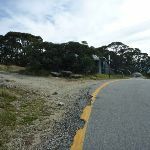 Around 1.1km of this walk has minimal directional signs, whilst the remaining 830m has directional signs at most intersection. 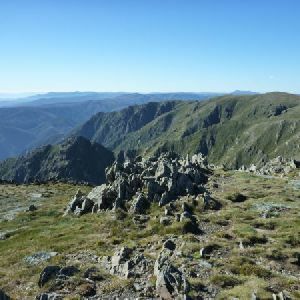 Around 1.1km of this walk requires a leader a with moderate level of bushwalking experience, whilst the remaining 830m requires no previous bushwalking experience. 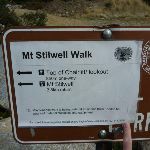 This whole walk, 1.9km is affected by storms that may impact your navigation and safety. 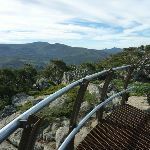 Around 1.1km of this walk has limited facilities (such as not all cliffs fenced), whilst the remaining 830m is close to useful facilities (such as fenced cliffs and seats). 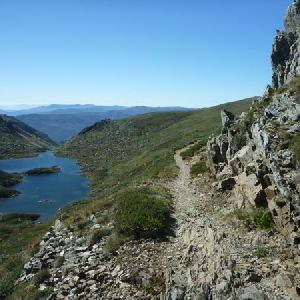 A list of walks that share part of the track with the Charlotte Pass to Mt Stilwell return walk. 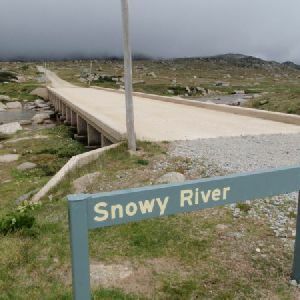 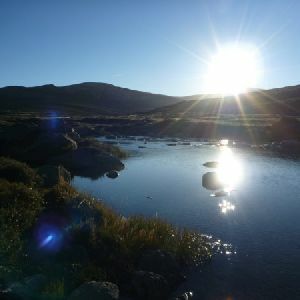 A list of walks that start near the Charlotte Pass to Mt Stilwell return walk. 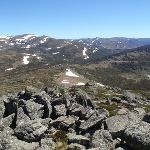 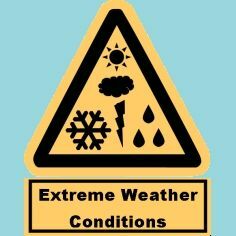 http://new.wildwalks.com/wildwalks_custom/includes/walk_fire_danger.php?walkid=nsw-kosciunp-cptmsr Each park may have its own fire ban, this rating is only valid for today and is based on information from the RFS Please check the RFS Website for more information.